NOVOCASTRIAN chef Brett Graham’s London establishment The Ledbury is the tenth best restaurant in the world. The Notting Hill restaurant came in at No 10 on the World’s Best Restaurant list, released today, climbing three spots since 2013. It is one of two UK restaurants in the top ten, alongside Heston Blumenthal’s Dinner. “It’s a huge surprise being there in the top 10,” Graham said. Graham admitted success brought a downside. The annual World’s 50 Best Restaurants list is compiled by more than 900 industry experts including food writers and critics, chefs, restaurateurs and highly regarded foodies. The Williamtown-raised chef’s modern French restaurant, which opened in 2005 and has earned two Michelin stars, garnered high praise. ‘‘Discreet, welcoming but quietly outstanding – the same epithets can be used to describe chef Brett Graham, his food and The Ledbury itself,’’ the judges said. They also gave a nod to Graham’s ‘‘punishing hours in the cramped basement kitchen’’ with a team which ‘‘works tirelessly’’ in sourcing the best ingredients from small-scale suppliers such as game, intriguing vegetables and obscure herbs and roots. But those behind the list do not doubt the ranking will change the Novocastrian’s approach. ‘‘The Ledbury may now be rated among the top 10 in the world, but Graham will not allow that to change the vibe at one of the UK’s most beloved establishments,’’ they said. Melbourne’s Attica restaurant topped the Australian establishments on the list coming in a No 32. Sydney’s Quay dropped from 48 on last year’s list to 60 this year. 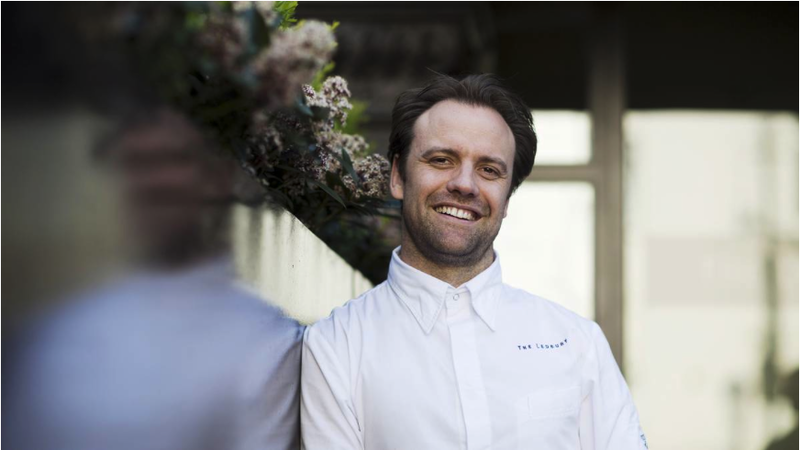 Copenhagen’s Noma was voted best in the world, followed by Spain’s El Celler de Can Roca and Italy’s Osteria Francescana. Melbourne’s Attica restaurant has once again been recognised as the best restaurant in the country – and 32nd in the world. More than 900 industry experts chose head chef Ben Shewry’s earthy flavours, foraged ingredients and “sophisticated and deeply grounded” menu as Australia’s only restaurant worthy of a placement on the World’s 50 Best restaurants list this year. No Sydney restaurants made the top 50. Quay, headed by chef Peter Gilmore, dropped from 48th to the No. 60 position. David Chang’s Sydney restaurant Momofuku Seiobo dropped off the list (which actually ranks the top 100 restaurants and is organised by British magazine Restaurant) after finishing 89th last year. However two of Chang’s New York restaurants remain in 2014′s top 100. Sydney’s Quay restaurant dropped out of the top 50 to be ranked No. 60. Noma from Copenhagen was voted best in the world, reclaiming the top spot from Spain’s El Celler de Can Roca which this year ranked No. 2. In third position for the second-year running was Italy’s Osteria Francescana. David Thompson came in at No. 13 with Nahm in Bangkok, also voted the best restaurant in Asia. Thompson’s Thai journey began in Sydney with Darley Street Thai in 1991. He opened Nahm in Bangkok (he also had a Nahm in London) four years ago to pit his creations against the locals. Nahm, which features bare wooden tables and raw brick pillars, has a menu drawn from ancient Thai cookbooks featuring delicacies such as smoked fish, fiery minced prawn and salted duck egg. Thompson said chefs in Australia faced an uphill battle. “One of the difficult things for Australian restaurants is that it’s so distant, so far away from the circuit of judges. “Almost all the guys know it’s a matter of luck in the awards ceremony. Where’s Quay? Where’s Dan Hunter [of Brae]? Where are all those other guys that do some pretty fantastic stuff that is on par with the guys who have won the major awards tonight?” he said. But Thompson said he’d had his own difficulties in Bangkok with political unrest making restaurant business tricky. “It’s going not bad despite the protests which really played havoc with most businesses in Bangkok. We’ve been going okay, we’ve been very lucky indeed. Sydney chef Tetsuya Wakuda’s Singapore restaurant Waku Ghin scraped in at No. 50 up from 68th spot last year. Ripponlea restaurant Attica, led by New Zealand-born chef Ben Shewry, was awarded “Australiasia’s best restaurant” at the 2014 World’s 50 Best Restaurant Awards, sponsored by S. Pellegrino and Acqua Panna and organised by Restaurant magazine, despite dropping 11 places from its 21st spot last year. Shewry and Attica co-owner David Maccora accepted their award overnight in London’s Guildhall. Speaking just before the event, Shewry said he was happy to simply be invited back to London, meaning Attica was again in the top 50. “There are many fantastic restaurants worthy of making it into the top 50. To me, whether it’s 50 or 21, it’s great,” he said. Heston Blumenthal’s ground-breaking Bray restaurant The Fat Duck – which relocates to Melbourne next year – slipped to 47th spot (from No. 33 in 2013). The Fat Duck will open at Crown for six months next year, before the space becomes a permanent Dinner by Heston Blumenthal, modelled on the original in London. Dinner finished in 5th spot at this year’s awards. He added, “We’re not at the finish line yet”. Those wishing to eat at the world’s best restaurant may have to book tickets to Japan rather than Denmark however, with Redzepi announcing via Twitter earlier this year that the entire Noma staff would temporarily relocate to Tokyo at the beginning of 2015 for two months.